A few years ago we created a custom designed mapping solution for ‘Dundrum Town Centre’… I literally spent weeks drawing around every single shop, bike rack, toilet, elevator, staircase and carpark on every floor. It’s safe to say that even though I’ve only been to the centre a handful of times I now know it like the back of my hand. In College I had a huge obsession with Hillman Curtis, he sparked a love for motion graphics and I had the huge honour of meeting him a few times (and being offered an internship by him!) before he passed on. But more recently I’ve been inspired by the likes of Jeff Greenspan and Jessica Walsh for their personal projects – the way they create emotionally engaging passion projects outside of their day job is really liberating. Upstarts was instrumental in forging my understanding of Advertising. It gave me insight and practice into responding to briefs with a through-the-line approach. Through Upstarts I got the opportunity to invigilate the radio category at the ICAD judging weekend which was a great eye opener as it was the medium I had least experience with. I have since had the privilege of mentoring two Upstarts students and hosting an Upstarts workshop – we even hired one student directly from the programme. I continue to look forward to the Upstarts exhibition every year which never fails to impress. Lynsey Browne is a Senior Digital Art Director with over 10 years experience in concept generation and execution for the Design and Advertising industry. Graduating with a BSc Hons degree in Interactive Multimedia Design, Lynsey relocated from Belfast to Dublin in 2006 to join ‘In The Company of Huskies’ as Junior web designer, quickly progressing to Lead Designer the following year. After a short freelance stint, Lynsey joined CKSK in 2011 as Senior Digital Art Director and has been instrumental in helping to win a number of awards and accolades for the company. Lynsey has volunteered with ‘ Age Action ’ to give digital classes to the elderly, and also mentored on the ‘ICAD Upstarts’ programme in 2014 and 2015. 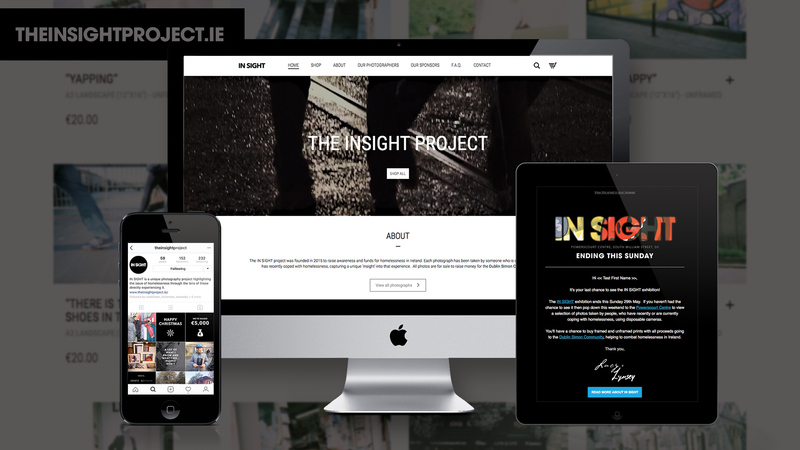 In 2016 Lynsey co-founded the ‘ In Sight ’ project… a unique photography project established to raise funds and awareness for homelessness, through the lens of those who have lived it. The project recently won a bell in the ‘ Creative for Change ’ category at the 2017 ICAD Awards. Lynsey is currently taking a 6-month sabbatical to volunteer overseas with ‘ Youth with a Mission ’ – spending 3 months in Colorado, and 3 months in Athens providing humanitarian aid to Refugees.